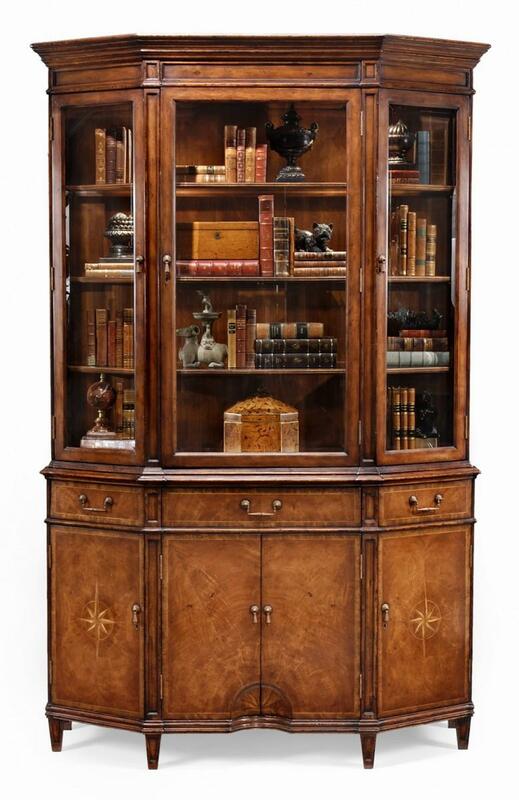 Description: Walnut display cabinet can also double as a high end china cabinet, or even a book case. It has glass doors and glass insert shelves which is perfect for the allowing the lighting within the cabinet to really light up the whole piece. The lower walnut doors boast starburst inlaid detailing. Panelled legs help to prevent this three door cabinet from feeling too heavy in smaller rooms by not going straight to the floor. All around this is a very high end cabinet that is multi purpose and would fit in a number of different settings.